Sheriff James M. Cummings, the 34th Sheriff of Barnstable County, was elected into office in 1998 and subsequently re-elected in 2004, 2010 and 2016. Documentation of the first Barnstable Sheriff dates back to the 1600s when William Bassett was appointed Sheriff in 1692. Sheriff Bassett served from May, 1692 until 1699 when newly elected Sheriff Samuel Allen was sworn into office. Under Sheriff Bassett’s leadership, the first and oldest wooden jail in the United States was constructed in Barnstable in the late 1690s. As written by former Barnstable County Major Shaun Martin in the American Jails November/December, 1998 issue, “Structural, documentary, and archaeological evidence suggest that the Old Jail was constructed c. 1690-1700 by Barnstable County as ordered by the Plymouth and Massachusetts Bay Colony Courts. 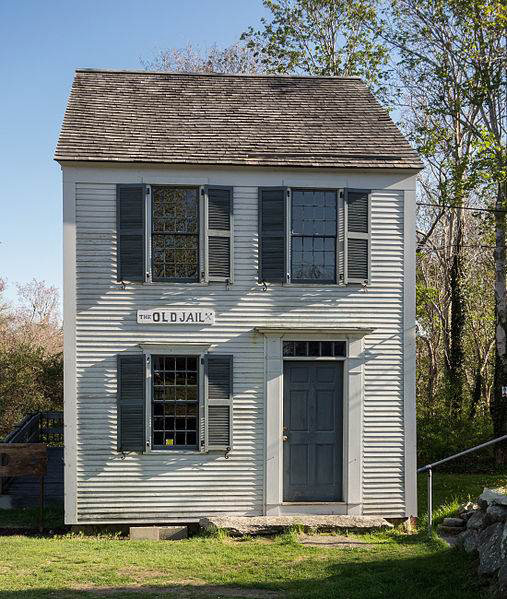 The same factors indicate that the jail was moved and attached to the rear of an early 18th century, two-story, five-bay house sometime in the later 18th century. This is supported by another court directive which ordered Barnstable County to erect a new jail, but which appears to have resulted in improvements to the existing structure. The Old Jail remained in use until at least 1820 when a new stone County Jail was erected a short distance eastward. The Old Jail may have continued to serve in an auxiliary capacity until 1954-55 when a new jail keeper’s residence was erected. At that time, the eastern half of the old keeper’s residence was removed, leaving the Old Jail with the remaining western half as an outbuilding for the new keeper’s residence. The Old Jail remained in this state until 1972 when it was given to the town and moved eastward on County Road to become a part of the Donald G. Trayser Museum Complex. Despite an unfortunate fire which occurred in early 1973, the Old Jail remains as a remarkably intact example of an early Colonial period gaol (sic). The history of the Old Jail began in 1965 when Plymouth Colony was divided into three counties, Barnstable (composed of the towns of Sandwich, Barnstable, Yarmouth and Eastham), Bristol, and Plymouth. Barnstable became the shire town or county seat due to its central location and because Thomas Hinckley of Barnstable was then governor of Plymouth Colony. The first official acts in the new Barnstable County laid out the County Road (now Route 6A), constructed the Courthouse near the present Pine Lane, and c.1690 erected the County Gaol, the oldest jail building in the United States. After Plymouth Colony merged with sternly Puritan Massachusetts Bay Colony in 1692, the persons liable to incarceration included rogues, vagabonds, beggars, jugglers, fortune tellers, runaways, stubborn servants or children, pilferers, wanton and lascivious persons, common railers or bawlers and spendthrifts. The Old Jail continued in use until 1820 when it became a barn, after the construction of a new stone jailhouse. IN 1972, the building rolled along Route 6A from the Old Jail to the present location in the Trayser Museum complex on Cobb’s Hill. The current restoration includes recreation the prison keeper’s small house in the same building as well as the cells. The circa 1690 structure with 18th century additions was as mentioned moved to Cobb’s Hill in 1972 to forestall its demolition. Months later a fire charred the historic timbers and the building’s doors were shut. Now through its capital improvement plan, the town will root out a fungus problem on the basement floor joists, evaluate which timbers can be saved and which must be replaced, and restore the building as an accessible exhibit. It was important to restore the “burned-out shell of the building” for several reasons. “Architecturally, it’s first-period construction; then there’s the social legacy; it’s the first jail constructed for Plymouth Colony,” said Trayser Museum Director Pat Anderson. During the Civil War, Eleanor Jones, arrested as a confederate spy, was imprisoned in Barnstable before facing trial in Boston. Usually the Old Jail accommodated a less spectacular class of criminal. Many cooled their heels there as simple vagabonds. The Barnstable County Jail (House of Correction) was built in 1935 in the village of Barnstable County, Massachusetts. In 1960, an addition was added onto the main facility to ease the overcrowding.” However, when the average inmate count reached 300, it became evident that Barnstable County was outgrowing the addition which was built to accommodate only 78 inmates. 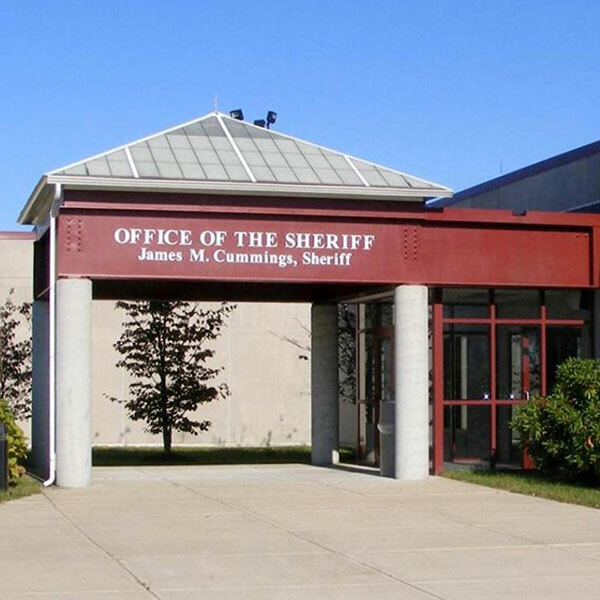 Elected as the Barnstable County Sheriff in 1999, Sheriff James Cummings quickly realized the need for a new jail. In 2004, the current Barnstable County Correctional Facility, located just outside Joint Base Cape Cod in Bourne, Massachusetts was built. Today, Barnstable County offices occupy the old jail built in 1935 which still stands at the Barnstable County Court Complex.